The Great JoJo Bake Off 2013: The Results are in! 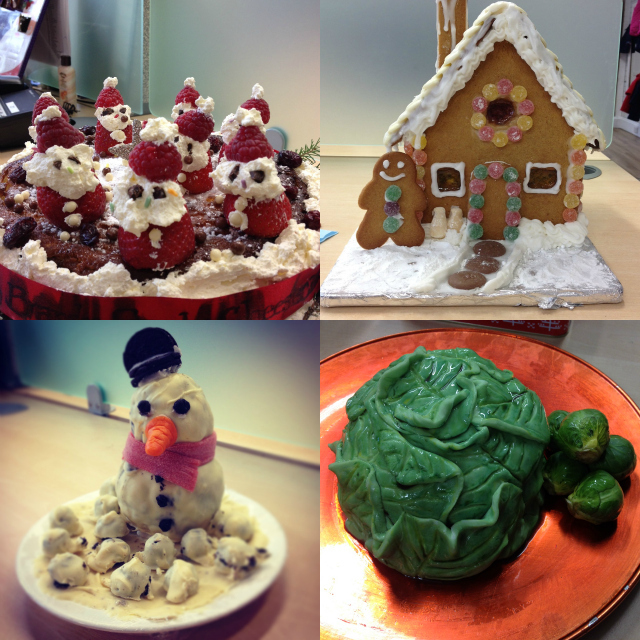 Christmas is looming and here at the JoJo London office, that can only mean one thing: the Great JoJo Christmas Bake-Off 2013. A two-week-long extravaganza of Christmas-themed home-made sweet treats, the Bake Off showcases the team’s baking talent, with each entry competing for the coveted first place position. Each year, competition is rife, and 2013 was no different: the gloves were off and the aprons were on. There were 18 entries to get through, and we were treated to twice-daily baked goods each day, from chocolate cake to panettone and gingerbread to mini fruit tarts. With so many delicious treats to sample, whittling it down to just one winner was tough but most of the team were happy to oblige! 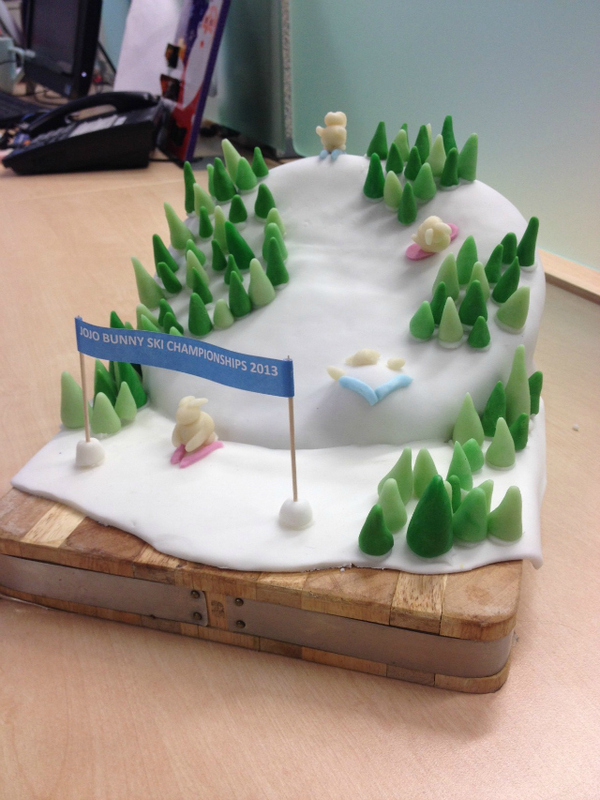 The votes have now been counted and verified, and we can reveal resident first place went to ‘Star Baker’ Nicky wowed with her skiing JoJo bunny cake. 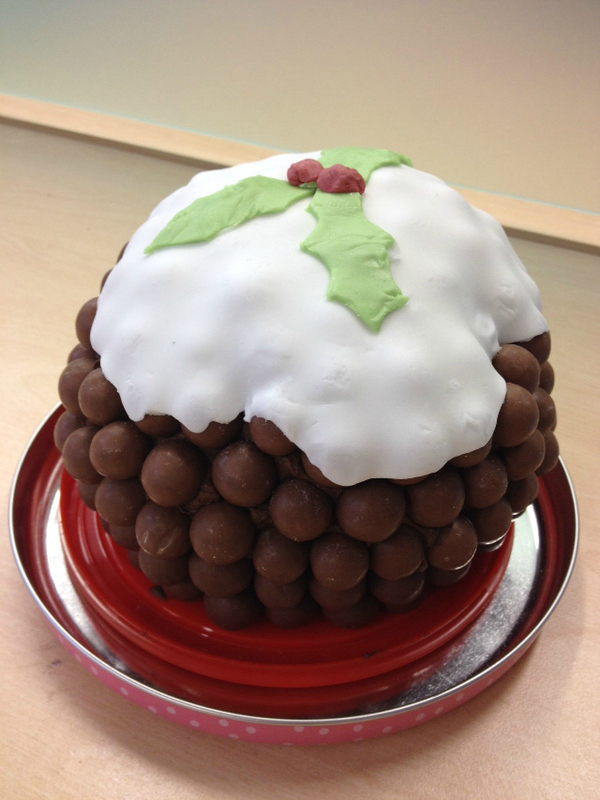 Kate’s delicious ‘Christmas pudding’ won second place, showcasing a novel way of using the humble Malteser. Squeezing into third place was Anna who created possibly the prettiest cake of the competition. We were all very impressed be her steady hands’ ability to pipe such an intricate paisley print! Scroll down to take a look at the winning entries, along with a few other impressive bakes which didn’t quite make it to the top 3. Most of you will, by now, know that the JoJo teams both in London and Newport need no excuse to get the rolling pins out. With so many avid bakers in the business, I’m beginning to wonder if the ability to rustle up a Victoria sponge at a moment’s notice is part of each job description. 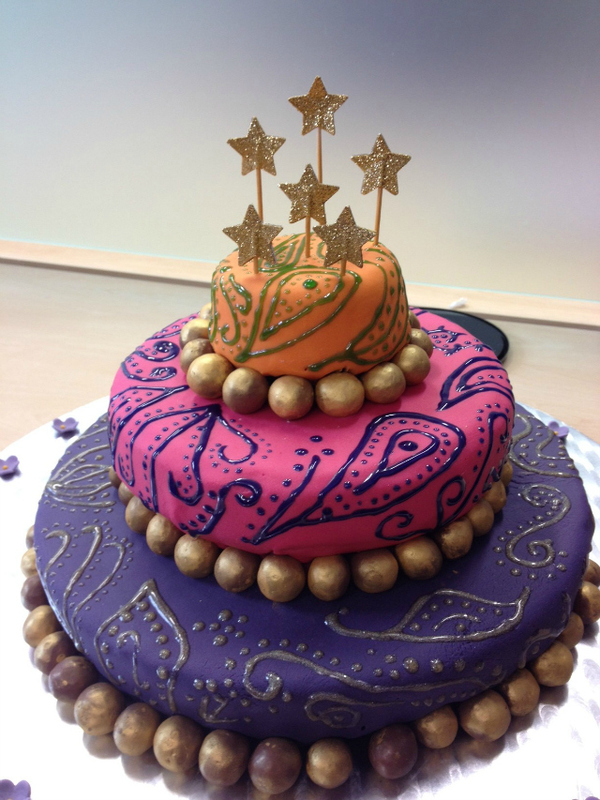 You might remember the truly impressive cakes created for our JoJo summer party which again, we had a very hard time judging! However, from the sounds of things, we’re not the only ones with a penchant for homemade puddings. Businesses, schools and other organisations up and down the country are donning their pinnies and holding their own bake offs in a bid to brush up on their baking skills. Baking has been such an important part of British culture for years but it appears to be enjoying a revival in recent times, thanks to popular TV shows like The Great British Bake Off and Masterchef. No longer satisfied with just watching talented amateurs create fantastic cakes, we want to give it a go ourselves. Plus, with tough economic times, in an attempt to cut back, families are leaning towards doing more baking. Cost effective, fun and something for all ages to get involved in, baking is a fantastic hobby and it’s gaining popularity. According to a survey, 60% of adults baked at home at least once this year, compared to only 33% just two years ago – a sign that baking is appealing to the masses more than ever before. Retailers are also enjoying baking’s new fashionable status, with Waitrose seeing a 50% rise in sales cookie cutters and mixing bowls, and John Lewis reported a 52% increase in stand mixer sales – hopefully a sign that baking is here to stay! If you’ve been baking, don’t forget to send us photos of any impressive creations. Maybe the little ones have been getting involved? Let us know! ← Happy Christmas Jumper Day!